Modern, efficient solutions to utilise and divide interior spaces. We supply & install a vast range of modular demountable partitions, offering modern, efficient solutions to utilise and divide interiors spaces. Partitioning is often the perfect solution to maximise efficiency within your facility, and create a much more usable office environment, individually designed around your needs. We specialise with demountable systems, using Apton as our manufacturer of choice. Demountable systems are not only tax efficient, but are quicker to install, reducing down-time; affordable; and will reduce future dilapidation costs, as the system can be relocated to new premises. We chose to become an Apton Interior Centre because of the range of systems available, the durability, design aesthetics, good lead times, and the excellent in-house manufacturing facility. Apton partitioning arrives to site with windows pre-glazed and doors pre-worked and hung in frames (lift off hinges), all making for a rapid build. The system comes in a variety of options from solid, to single glazed (framed) to double glazed with integral blinds. Frameless glazed again comes in a variety of options depending on acoustic requirements. The systems are available in a wide range of fire rated options. All of our ranges also have an extensive variety of vinyl finishes, paint colours, blind options and timber solid core or glass doors- all to the highest standard, ensuring a quality finish that will stand the test of time. We strive to maintain installing systems that are easy to adapt and change to suit your on-going business growth. As an alternative to Apton, we also offer single and double skin steel, monobloc and alternative partitioning systems. Having such a diverse network of suppliers enables us to chose the perfect system to suit your requirements. Please see below the variety of options we can supply, and enquire to find out which is best suited for your business needs. We can work with you or your architects/builder or independently to create an attractive and effective interior partitioning system design, optimising your business’ environment, creating a layout that will work perfectly for your day-to-day operations. We will offer advice and support to make the installation both quick and responsive to your business needs. Our partitioning systems will then be delivered directly to site, with a transparent lead time and schedule of build. 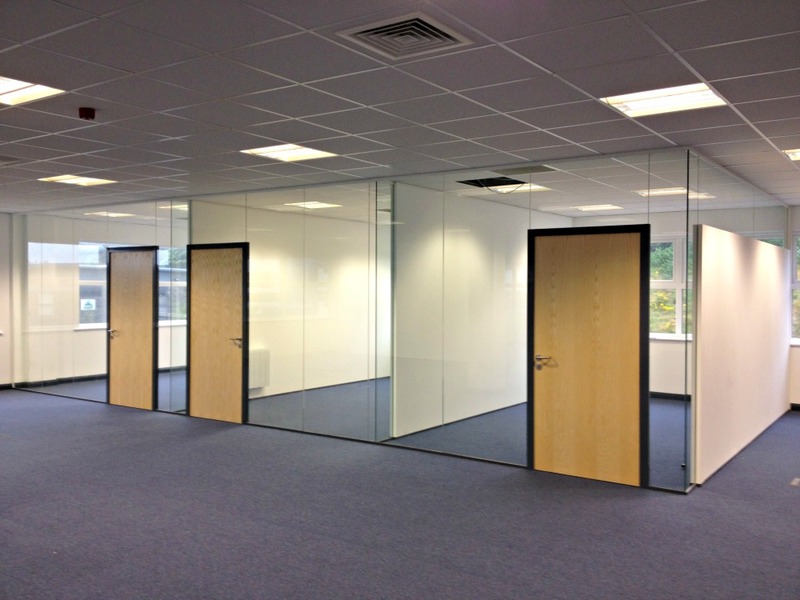 Our skilled experienced fitters will then work to install your new partitioning system, with a good turn around to ensure your company is disrupted for as little time as possible. The Commercial & Industrial Interiors design team will work with you to create a functional, aesthetically pleasing office environment. The end result is an efficient office designed around you & your workforce. We work ‘with you’ to ensure complete customer satisfaction. Colourline is our Apton demountable partitioning system. Quick on site installation and a vast range of finishes. 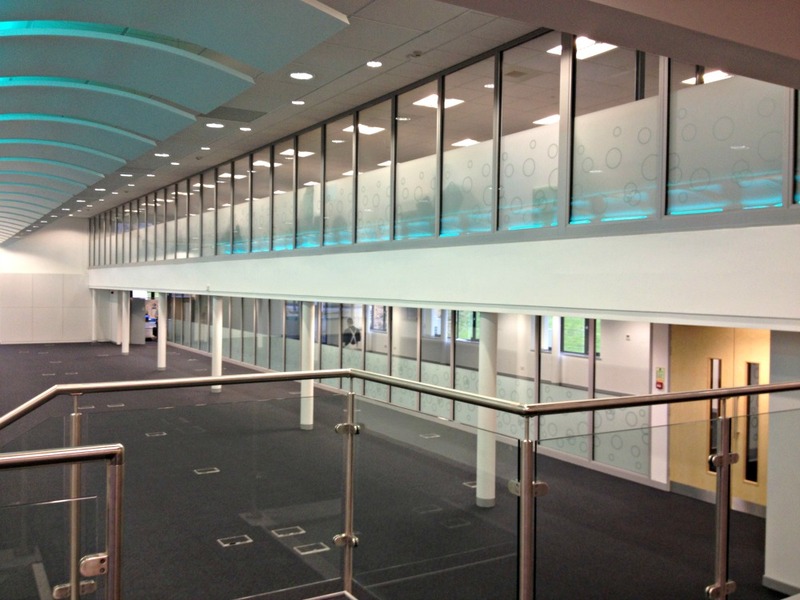 Create stunning effects with frameless glass partitioning. A modern system creating an open space experience. 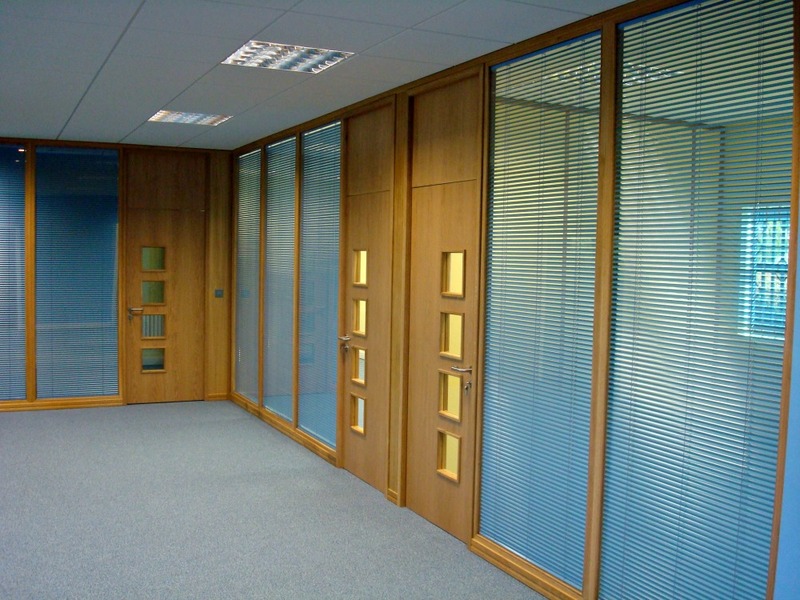 We provide Timber Glazed partitioning for an elegant finish with a natural feel and the benefits of an open space look. Available as single or double skin steel partitioning, this system can be utilised within numerous environments. Our clean room partitioning systems are available with a range of options to suit various environments and conditions. Our moveable walls give you flexibility over your workspace configuration, allowing you to adapt your space with ease. Monobloc is a durable and easily adapted modular, load bearing and self-supporting partitioning system. Call our experts to discuss your interior ideas in depth, and for a free consultation or advice on partitioning. More information on Demountable Partitions & Interior Partitions, plus the following products; Colourline, Silverline and Timerbline can be obtained by speaking to our technical advice team on 01661 836304.